I’m not quite sure who the audience for Ender’s Game is. The film, based on the 1980s science-fiction novel (and the subsequent series), is a hodge-podge of clichéd sci-fi trappings with a majority of the major character being pre-teen children. 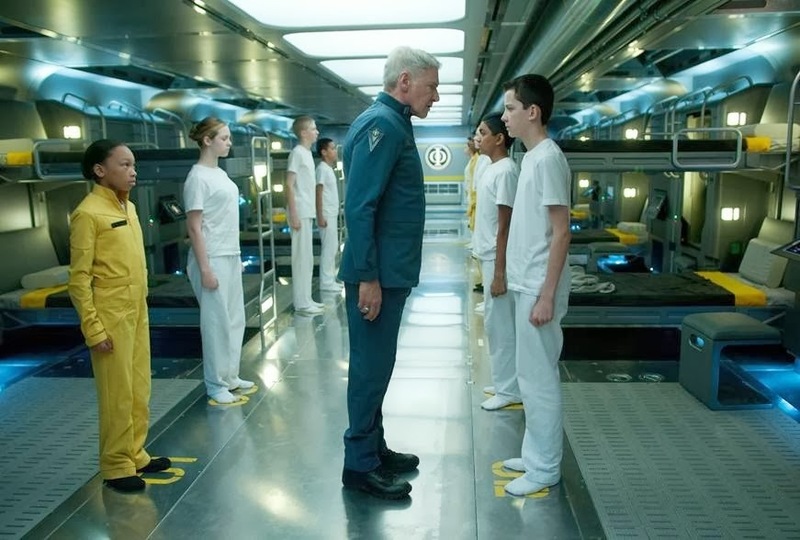 It sort of feels like an attempt to jump at the success of “The Hunger Games” which I understand, but I can’t image kids enjoying this futuristic sci-fi tale of children being trained to take on evil alien life forms. It’s a shame too because this has been a pretty decent year for amusing sci-fi films. Even if films like Oblivion and Elysium didn’t exactly wow most people they felt way more interesting than this, what I can only assume, is a watered down cinematic version of a popular award-winning book. Young actor Asa Butterfield was actually pretty great as the lead orphan in Martin Scorsese’s wonderful tribute to silent cinema “Hugo. “ He was charming and talented enough to carry a majority of that film on his tiny little shoulders. I can’t quite say the same here. 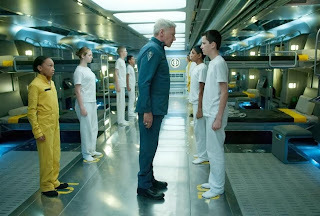 As young Ender Wiggin, a boy who is so adept at video games that he’s enlisted in some kind of futuristic space battle school where kids are trained in the art of alien combat. I get the commentary: kids are so good at playing violent video games, why not train them to fight the enemy for real? That’s basically all this movie has to say, but it takes way too long to say it. The set up is also familiar. Bug-like aliens have attacked Earth. Humans have now begun to train the kids to fight back. That would be all fine and dandy if Butterfield had anything to actually do except to look endlessly morose as his commander Colonel Graff (Harrison Ford) constantly yells and screams like an old man trying to get young people to respect their elders. Why is Ender so special anyway? Because he’s good a video games? I have a feeling there is a lot more going on in Orson Scott Card’s book that is severely lacking in Gavin Hood’s mediocre script. There’s nothing particularly horrible about it it’s just that with so many futuristic tales being thrown at us these days, it doesn’t really make much of an impact. Hood, who also directors spends most of his time directing his young actors to look into the camera while they shout military terms as they battle a mostly unseen enemy. Think “Top Gun” with kids, in space. It becomes monotonous. And it’s sad that the best part involves one of the most obnoxious young characters taking a cement step to the head. The film is filled with award winning and nominated actors who don’t really do or say anything all that interesting. There’s Hailee Steinfeld, who was so good in "True Grit," who doesn’t really get to do much except brag about being the only girl in her team of young male soldiers. Viola Davis seems to just be taking a break between Oscar nominated roles as does Ben Kingsley who hams it up as a tattooed guy assigned to spout off exposition at a point I just didn’t end up caring about. Abigail Breslin is Ender’s sister. They have a brother and there’s some kind of conflict that feels glossed over. To be honest, none of these complaints would even matter if the film’s visuals were anything even remotely special.